Haven’t dealt with shots that involve footprints in the snow or walls being splattered with blueberry pies, my jaw hit the floor when I saw this. If you’re quick with the mouse, it takes less than 1 minute to set up. The Lord of the Rings – Extended Edition DVDs have a great section called “The Taming of Smeagol”, where they talk of the process used to create Gollums 3D character. 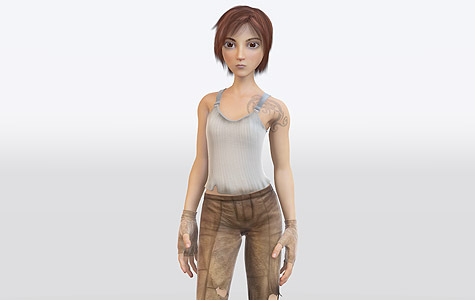 Includes modeling, motion capture, rigging and animation. If you don’t have the DVDs, these two videos cover much of the material… maybe all… or more! Can’t remember. There’s a bit of overlap between the two linked videos, but if you enjoy one, you’ll find both interesting. Blender has a new version out, and the thing that first caught my eye was the image below. The ability to smooth bone weight influences… smoothly (without using a paintbrush). 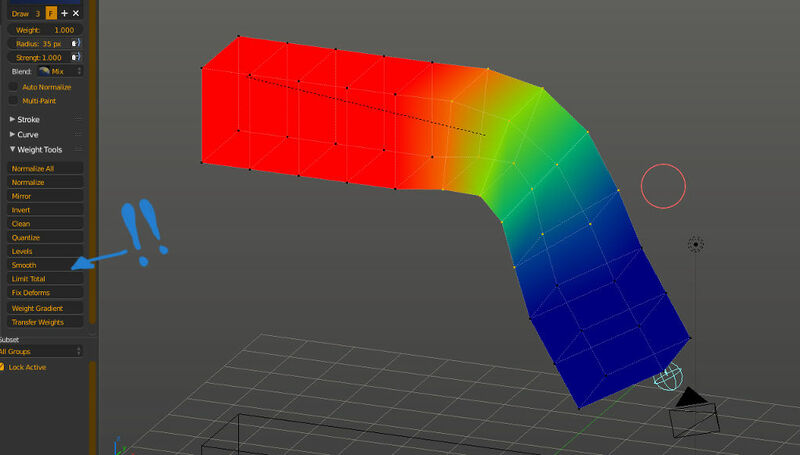 When I started learning Blender’s rigging tools, I noticed the lack of a proper workflow for smoothing skinning weights. I spent days trying to replicate a workflow that I have relied on for years in another software. DAYS. I even preparing a plan and was setting aside time to build a tool to handle this… but then… BAM! Here we go. This is not the first time this Blender has read my mind. Installed and tested this on Ubuntu. Works!!! I was so excited to see this feature added to Blender, I nearly put this as my Facebook Cover Photo. Hey! Don’t look at me like that. Workflow is everything. Key word being “flow”. Flow is a difficult state to reach when doing something as technical as rigging and skinning is a process that most everyone hates, even riggers. I’m one of the few that enjoyed the process as was able to get to a nice zen state and just… well… flow! I’m a big dork. Where’s my badge? This is also not the only impressive improvement in the newest release. Checkout the list of new features here. CGCookie just released a short video demonstrating this new skinning feature, along with the Mesh Data Transfer tool, which simplifies the process of transferring skinning weights. Fully documentary is coming soon. Here’s a sample. Yes, it’s free and more. Open source means that not only are you given the product, but you are given the blueprints as well. If you need to make changes, you have the ability to go in and change the software yourself (or find someone to do it for you). Thousands of copies/variations are out there floating on the Internet. Some flavours are simplified, some complicated, all are customized to various degrees. This means that even if you loose your copy of the product, another copy can always be found… somewhere. NO ONE SHOULD BE ABLE TO TAKE AWAY YOUR TOOLS. Web developers are very familiar with this concept, as may of their tools are open source. Some may use commercial software but, in the end, the media itself is open source. You only really need a text editor to do most everything for the web. Over the past 6 years I have probably spent $15,000 on software. I own licenses to multiple versions of Photoshop, yet I still use GIMP because it loads super fast and I can install it on all my computers, or any machine I come to contact with (yes, it was me who installed it on your PC). There’s an unbelievable amount of online support from all over the world, and more tutorials than anyone could ever ask for. Most open source software, in the beginning, can be pretty crude. That being said, most of my multimedia applications have been around for a decade or two, and most of this software is pretty finely polished nowadays. All the open source applications I use are MUCH simpler than the commercial counterparts. In many cases, this simplicity was the primary reason I migrated to many of the free tools. As an example, look at how effectively Blender lets me scale the entire interface. I’ve personally never seen something like this. As for Linux being crude, take a look a this UI demo. I honestly don’t see a difference, though if someone twisted my arm… I would say that commercial software tends to crash more on me that the open source counterparts. This could be due to the fact that most of my commercial software is on Windows (sorry Microsoft) and that Linux is known to be more stable and recover well from crashes. Problems are bound to happen and, because open source can be altered, problems are never true show-stoppers. You are probably not alone if you are having trouble, so the answer is almost always already out there to be discovered. Take a look at the following image. This was created by David Revoy, an artist that has been using open source software for 100% of his work. He uses GIMP, Krita, MyPaint, Blender, all running under Linux. While it used to be a pain to find compatible hardware for Linux… it’s pretty simple nowadays. Personally, I find that nearly all my devices (including my Wacom drawing tablet) were working without having to download or setup drivers. Real *cough* plug-n-play. David shares why he chose to go to open source, back in 2009. Am I happy about this personal choice ? Yes 🙂 and I can without any remorse put my old software license in a box for long term storage, just to show to my ( hypothetic and not yet existing ) grant-children what were …. the proprietary 2D software I started with. 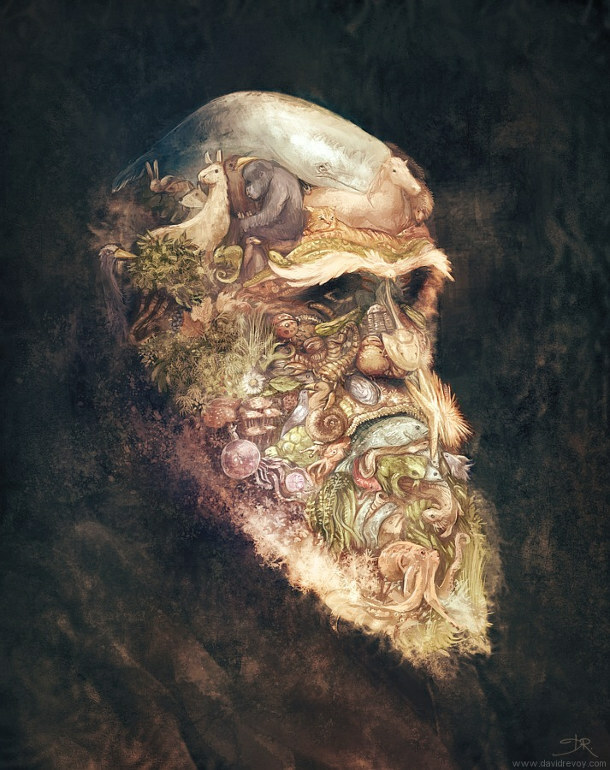 To become more familiar with David Revoy’s work, I highly recommend purchasing his “Chaos and Evolutions” DVD. If you can’t afford the purchase right now, he’s made the video available on Youtube. He’s using some of the software mentioned above, including Alchemy (tool that Android Jones assisted the develop of). As I mentioned before, I’ve easily spent $15,000+ on software over the past 6 years (since going independent). I’m putting energy into open source tools because of my own personal issues with licensing commercial software, as well as issues I’ve witnessed my clients struggling with. I am not saying that commercial software isn’t needed, I’m just saying that it should not be the foundation of a creative production. If the core of a project is open source, this means that all the base products will be available to everyone on the project. If animators want to do a bit of audio testing with their animations, they have Audacity to do some light sound editing of their own. If a project manager wants to make some slick diagrams in Inkscape, a tool is available to them without spending a few hundred on Adobe Illustrator. Please keep in mind. These software are not trying to clone commercial software applications. They have developed and grown over the years, based on feedback from users all around the world. There’s always a learning curve but, like when you learned touch-typing, you’ll be zipping along faster than before, once you get over the initial hump. If you’ve got your checkbook out, you might want to support the current Krita Kickstarter. They’re planning on adding animation functionality, amongst other features. While digging around for videos on skinning, I came across this Blender character rig that has some killer animation options. Because of the custom control bones, I forgot I was watching a demo of Blender. This lead me on a Blender rigging adventure, which revealed the following rigging websites. Initially setup the materials for Blender’s default renderer and noticed that when I switched to the new Cycles renderer, I lost the materials. A quick Internet searching revealed a handy addon called Convert Materials to Cycles. The materials_cycles_converter.py script created a set of buttons at the bottom of the Properties Editor in the Materials context. You can convert the current material or convert them all. I’m using Blender 2.69 and the script, which is written for 2.71, worked good for me (color and bump came over). L-Systems was next up for exploration. 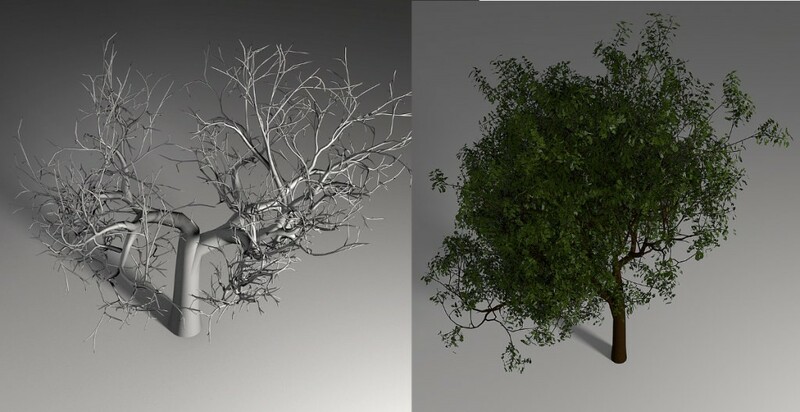 A question came to mind on whether or not the same beautiful branching could be created in Blender, as I had created previously in Houdini. Searching revealed the VegGen addon, which I’m going to give a whirl (after some compositing and rigging tutorials). Looks promising, though doesn’t have the ability to write my own turtle rules. This doesn’t provide much control… so probably simplest to just write an L-system engine in Python myself… probably using the VegGen script as reference (Yay! Open source!). Sidetracked by this Frankenstein texturing video, which shows an earlier version of Blender’s built in texture painting tool, which also performs cloning of photos right onto the 3D model. Finally, I’ve realized I need help. Learning on my own can be painful as software is never perfect. There are going to be pitfalls (bugs) and IRC and Blender forums can help me save time navigating known issues. 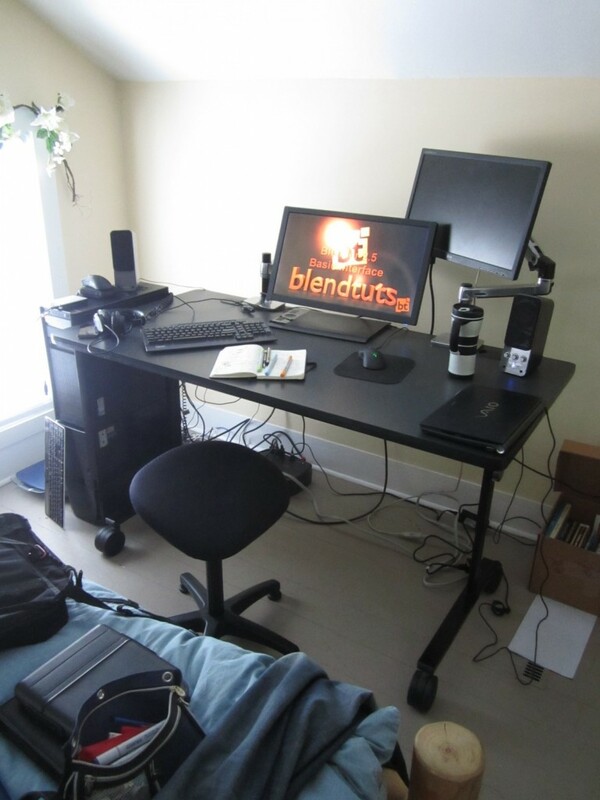 Going to linger on the #blender IRC channel for a few days to get a feel for the culture, before jumping in. …am guessing they used Brekel and for sure they used Houdini. Some digital landscapes from Lee Griggs, rendered in Maya with the Arnold rendering engine. A TON more can be seen here, just make sure and full-screen them. This collection grows with time, so come back to check it out sometime in the future. If it stays quite for too long, ping me and let me know! New 3D animation techniques have me revisiting mathematics. In my math book research, I found this information below to be particularly interesting and/or useful. Why not start with a bit of inspiration first? 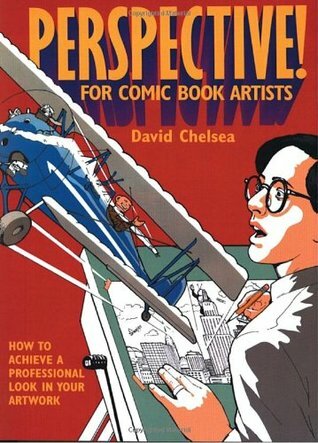 Would you be inspired to know that you can learn to draw environments like a professional comic book artist… while also forming questions as to why all these proportions line up almost magically. AH! It looks like a text book!! Don’t worry, it’s actually tiny, at about 100 pages. 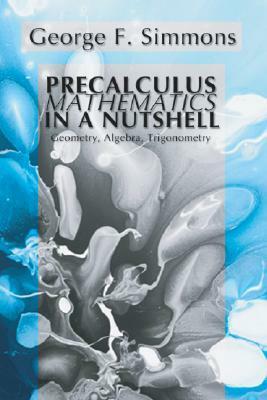 The author teaches calculus and states that he teaches precalculus (algebra, geometry and trigonometry) in a single day. It will take most of us longer than that… but this information gives a great grounding position to pounce off from. I’ve only read a few sections, but this appears to be a great place to start for those that want to understand points in space and their relations to each other. It’s all about the relationships. Want to play with some math without writing letters or numbers? Start here. 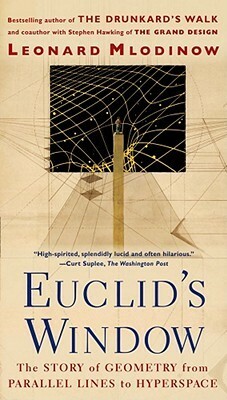 Euclid’s Window by Leonard Mlodinow (haven’t read yet, but I kept encountering it while looking at the books above). For the 3D animation programmer out there, you have quite a few to select from and I will have to take some time in the future listening those out, as well. For the person who hates math, I recommend checking this list out, as it may help you understand where math becomes beautiful. Stuxnet: Anatomy of a Computer Virus from Patrick Clair on Vimeo. How we can become disconnected in all this connectedness. Fracking explained – opportunity or danger from Kurzgesagt on Vimeo. Rear Window Timelapse from Jeff Desom on Vimeo. BBC KNOWLEDGE 60 from iamrader on Vimeo. We don’t have to get lost in the details. GENESIS from Malevo on Vimeo. Procrastination from Johnny Kelly on Vimeo. Deutsche Telekom “Das Netz der Zukunft” from Original Program on Vimeo. First, I’m not a “graphics programmer”. I do quite a bit of scripting (Maya’s MEL scripting language) and enter dozens of expressions (Houdini), but have never compiled a single line of C++. I was never a big fan of math, especially algebra (grammar = yuck), though I did breeze through my Geometry class. 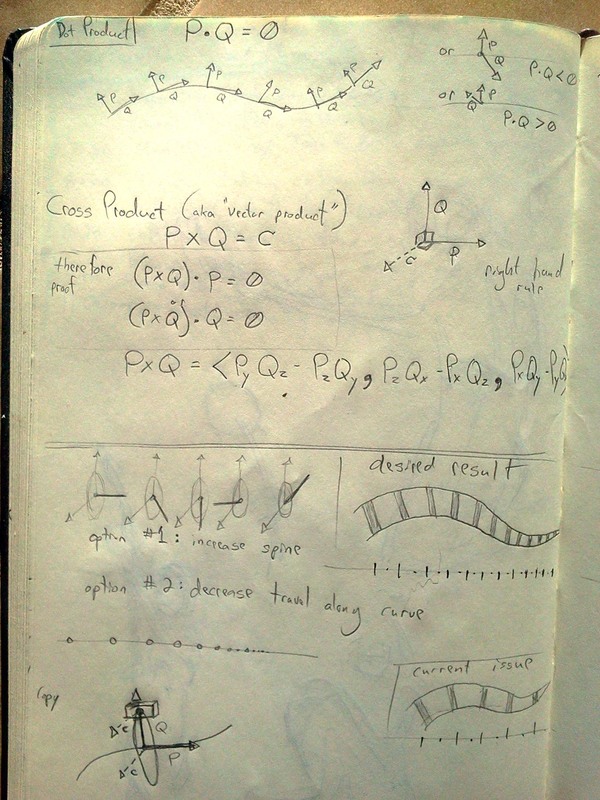 I survived a decade working in the 3D animation industry working as a rigger, technical artist and production technology lead and only implemented a little triangle math only a handful of times. *note: This does NOT mean you should skip out on getting a proper understanding of Euler rotation orders and gimbal lock, if you want to be a good character TD. Though no one needs to understand 3D math in order to become a 3D artist, even some digital sculptors realize the importance of a little trigonometry. Having an elementary 3D math base gives an artist a better understanding of the ‘why”s. …and luckily the internet has the answers! There is a boatload of free online courses available to those willing to learn from text and videos, but mathematics is a massive world and it’s difficult to figure out where to start. For those that have completed highschool (maybe even just 10th grade) and are interested playing with some bit of 3D code, here’s some items I found quite useful. Keep in mind that most 3D animation software packages will include tools (commands, expressions, functions, etc.) that will do the math for you. Remember to search the documentation!! If you have a line, what direction is it pointing? If you have an object in space, what direction is it moving? This is your vector. The length (aka “magnitude”) of a vector can tell you it’s speed. A normalized vector is always 1, and is useful to apply to other operations. You can subtract two vectors and you’ll get another vector which tells you the direction from one vector to another. 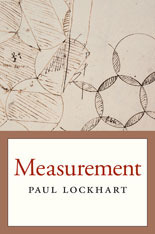 More examples with images on MathIsFun.com. I have two vectors and I want to find another vector that is perpendicular (90 degress) to these two vectors. The cross product of the two vectors will help. It’s useful if I have a plane and I need to know the surface normal to the plane. For those using particles, this tells us the direction that particles would travel if we are emitting from the middle of a surface. BUT, be careful, the direction of this newly calculated vector depends on what order you specified a & b. This is where the dot product comes in very handy! More cross product details on MathIsFun.com. If you have two vectors, the dot product will tell you if the vectors are moving in the same general direction (greater than 0) or moving in two completely different directions and will never intersect the same plane (less than 0). If you have just used the cross product to find a perpendicular vector (like a surface normal), you can use the dot product to see if the if it’s facing the right direction (up?). More info on MathIsFun.com. For video explanations, Khan Academy has a great section on vector dot and cross products or trigonometry and precalculus if you already have a basic understanding of geometry. So what’s next? Perhaps some matrix calculations? Maybe linear algebra via MIT’s online course or N.J. Wildberger (known for “rational trigonometry”). Finally, checkout this list of free technical online courses, including programming. Thanks to Les for the inspiration to catalog my findings. Pure “Play” has been missing from my work. Beeple, you’ve inspired me. “One a day“? Ok, I’ll try, but maybe end up starting with “Twice a week”, first. This should be a good way to learn Blender. I am going to start with this tutorial from BlenderTuts. Something simple, yet organic and (if rigged) animated!! How to create a SnowMan in Blender (Part 1) from Oliver Villar Diz on Vimeo. There’s some documentation out there for installing the CUDA SDK for Linux and it all seems to be good, though I did run into some little hitches when trying to run programs that take advantage of CUDA. When running the 64 bit CUDA executable for 3D Coat V4, I received the error, “Error cannot load shared file libcudart.so.3 where is libcudart.so.3”. I found this information for correcting the error using an http://www.cyberciti.biz/faq/set-environment-variable-linux/. This resulted in the following shell file that I dropped into my home folder. Maybe now, combined with my recently purchased GTX 580, I will see some serious improvemnets in my voxel sculpting and simulations. For good measure, I can’t forget about all the inspiring sculpting work out there. Starting to dig into Blender, starting with a free lite version of the character from Sintel. “The Music Scene” from Anthony Francisco Schepperd on Vimeo. abstract animation film for neuroscientific purpose. It is seen by children (age of two to ten years) on a screen in front of them while they are in a brain scanner. 3D fractals creating alien landscapes. Showing behavior systems. Techinically… it’s tech demo, but the patterns are gorgeous. Stop motion w/ practical effects. Visitor from far away + a soccer ball = ? One of my favorites that I still back to watch. The director rammed it with symbolism. Kinda creepy. Stop mostion w/ laser pointers and long exposuress creates a kitty made of light. Simple and cute… and great little tale. Appropriate narrated story w/ slower gradually increasing visuals. Slick presentation of the creation process of a growing grape effect in 3D. Streetfighter fans will get a kick of these motion capture abstractions w/ particles. The current technique of digital sculpting.